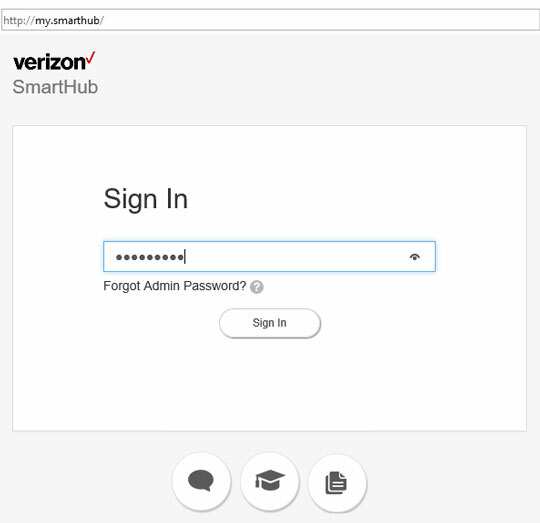 Ensure you have an active connection (wired or wireless) between the SmartHub and the device with which you're attempting to access the admin page. If the Wi-Fi connection has been previously disabled through the admin page, you may not be able to enable it after a Restablecimiento de fábrica is completed. Launch a web page then enter my.smarthub into the URL address field. The default admin password can be obtained via the SmartHub's external display. For additional info, check out this interactive demo.